These nibs are replacement gold nibs for Lamy fountain pens, to fit all current models with the exception of the 2000. 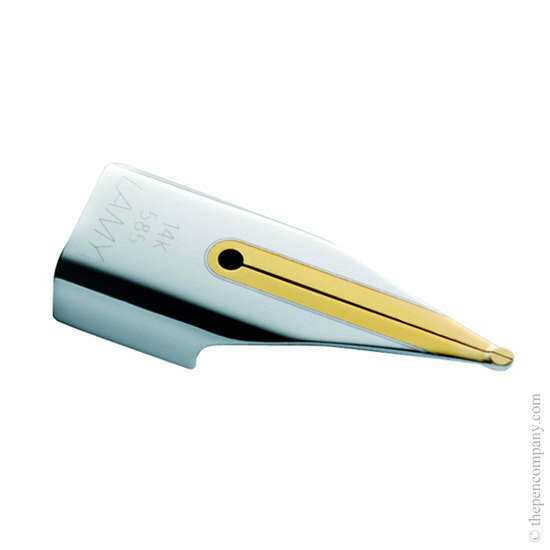 The nibs are platinum plated 14-carat gold and are easily exchanged by sliding on and off of the feed of the existing pen. Available in six widths: extra fine, fine, medium, broad, oblique medium and oblique broad. Great quality nib, arrived within a few days of ordering! Yes the Z55 will fit a Safari. With the exception of the 2000 the feed and nib are the same for all the Lamy pens, with the most expensive models fitted with the gold nib. The Z50 and Z55 are interchangeable across all other fountain pens. The nibs just slide off forwards and the replacement can be pushed back on - sometimes the nibs can be a little tight, as there is not much to get hold of it can be useful to stick a piece of Sellotape across the old nib which helps to pull it off. Yes, the Z55 will fit a Safari fountain pen. With the exception of the 2000 all Lamy fountain pens use the same nib and feed, so the Z50 and Z55 are interchangeable across the whole range of fountain pens. The Lamy nibs just pull off forwards, and a new one can be pushed back on. The nibs can sometimes be a little hard to pull off, there's not a lot to get hold of so it can be useful to stick a piece of Sellotape across the nib to give you more purchase. Yes, with the exception of the 2000 fountain pen it is possible to interchange the nibs on any other Lamy fountain pen. The Z55 gold nibs are made to the same dimensions as the Z50 steel nibs so can be swapped. 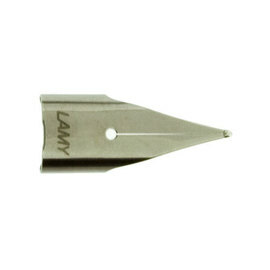 Lamy only produce the Stub nibs in the steel Z50 - these will fit any Lamy fountain pen except the 2000. So, you can fit a Z50 stub nib to your Dialogue, however, this will effectively be replacing the original 14K gold nib with a steel nib.